White Sands Missile Range is part of the largest military installation in the US and is located across five counties in southern New Mexico. The White Sands Test Center conducts missile testing and range recovery operations and works with other operational organizations on base including the Launch Abort Flight Test Complex, the White Sands Launch Complexes 37 and 38, NASA's Tracking and Data Relay Satellites Ground Station and the North Oscura Peak AFRL Directed Energy Directorate facility. There are two historic sites on the installation - the Trinity Site and the White Sands V-2 Launching Site. The White Sands Missile Range Museum, located on base, offers tours and exhibits of the V-2 rocket. 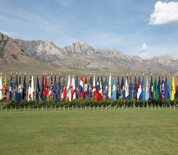 This White Sands Missile Range directory features the critical info you’ll need to navigate through the many facilities and recreational opportunities available on base.